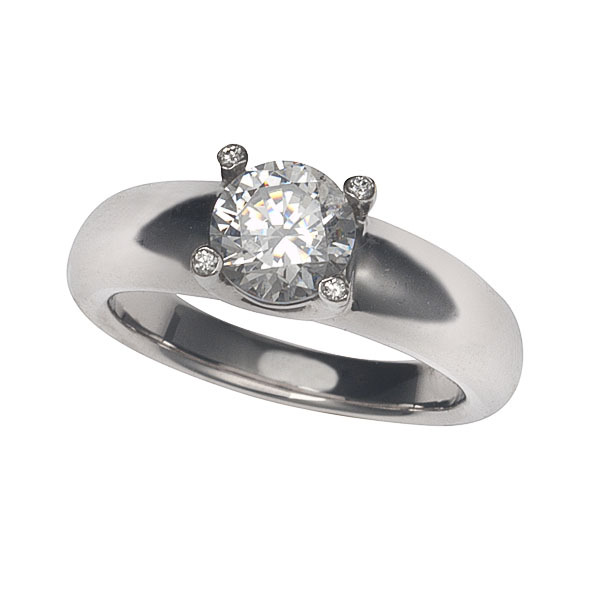 Each prong of this 18K white gold engagement ring is tipped with a one point diamond. A simply elegant band - to best showcase your center diamond. (Center Diamond is Sold Separately).